The Mary Pickford Blogathon: It's Here! Why Do People Love Mary Pickford? A few months ago, I posted my review of the book, Mexican Movies in the United States here at Classic Movies. Before I read it, I had no idea that there had been so many Spanish language movie theaters in the US during the golden age of Hollywood. There was a robust distribution network for the films and a huge, devoted audience in cities and towns across the nation. It was one of the most fascinating books I'd ever reviewed, because it dropped me into a whole new world. I read with great interest your review of Mexican Movies in the United States by Rogelio Agrasanchez. I also grew up in a movie theatre. Teatro Rio in Mission, Texas. It is now a historical building. 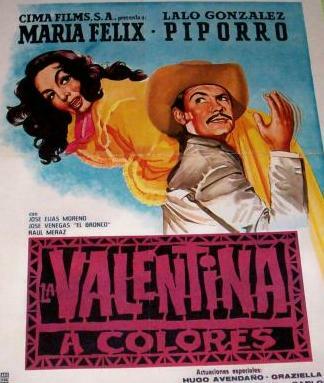 Each time I see a black and white movie with Maria Felix or Pedro Armendariz, I sit still and watch it, as it brings back memories of the time when my family had no TV and all we had was a quarter to go to the movies. Such were the days. Maria had contacted me in search of information about El Rex, another theater she had been to often as a child. While there was not much about the theater in the book, I pointed her to the website of the archives run by the book's author, Rogelio Agrasanchez, Jr. (where she was eventually able to find a photo). What was a typical night like at Teatro Rio or The Rex? The weekends were the most popular. People got paid, and it was a time to take the family to a movie. We had to get there by 7PM to get a good seat. The theater was family owned. Mr. Flores always made sure that there were no noise while the movie was shown. He would make the “rounds” to prevent anyone throwing popcorn at each other, or disrupting the audience. His wife would be making the popcorn and his daughter would sell the candy while the son would sell the tickets. He would always change the movie posters by Sunday for the following week, and we would look forward to what was next. The price back then was 25 cents for adults and 10 cents for children. There were 7 of us [kids in the family]. My mother would give us a movie as our allowance. What fun. How did the audience react to the films at these theaters? Audiences behaved according to the times. When I was a small child in the 40’s ( I was born in l942) I would go just to watch all the pretty ladies, and see the guys sing and just admire all the things at the theater. I do remember that the audience was very quiet and responsive. If a movie with Cantinflas would show, there was so much laughter as he was such a comedian. I met him during a bullfight in Mexico. After the 50s, the audiences changed. Many families had televisions at home, and those who would attend would be mostly the young couples and a few families. It was quite loud, and rowdy, it was during the time of the “pachuco” or similar to the zoot-suiter in California. My brother would make sure that we would all sit together. This was at the Rio. The Rex eventually received a bad reputation, poor maintenance, too noisy, and guys would get into fights over some girl, popcorn flying all over, and drinks spilled. Many people would prefer to go to the Rio. I read that they used to have film stars visit these theaters. Did you ever get to see a a live appearance? My brother would rush us to get ready by 5PM to go see the movie star or singer at the Rio. We were six girls, one boy. My father died when I was 6 years old. My brother was the head of the household. I loved to go see the movie stars who would come and perform or sing. I got to see Luis Aguilar, Pedro Infante, Antonio Aguilar, Lola Beltran and Piporro – a comedian. Another of my favorite times was when the Rio Theater would hold amateur nights. Who were your favorite stars? 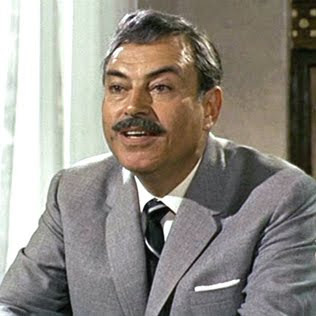 Pedro Armendariz, by far was my favorite. I used to dream that I would see him in person. The epitome of the “macho” man, gorgeous looks, beautiful smile, yet so kind. He was so versatile, any role he would play was perfect. He spoke perfect English. To this day, I have not seen a Mexican actor who compares to all his qualities. I own all his movies/DVDs. My favorite films – La Perla, Macario, La Malquerida. Are there any other memories you would like to share? I can say that watching such movies really had an impact on me. They helped me mold my own life through the experiences of the characters. 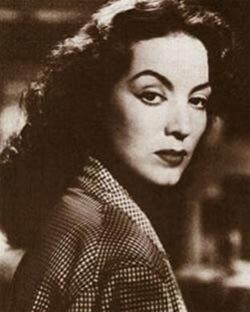 I learned to be strong, and straightforward as Maria Felix, dress with style like Dolores del Rio, and be funny like La Inda Maria. I used to “play” movies at home and pretend that I lived in big houses and had a “charro” come serenade me. I'm thankful for those years as those stories may have been fiction but in reality such episodes do happen in our everyday lives. In the American movies, I love Wuthering Heights, Rebecca, Casablanca. Movies are just not made like that anymore. Our young people are exposed to too much violence, animation, and make believe. I consider myself having grown up in a simple life with real people. Thank you for sharing your wonderful memories with us Maria!